I think the junior gold miners sector could up ten fold over the next few years based on gold just going to $3,000 or $3,500 [let alone to] $5,000 or $10,000 which I think is possible. Here’s why. So says Stephen Leeb in edited excerpts from an interview with King World News as provided by Lorimer Wilson, editor of www.munKNEE.com (Your Key to Making Money!). This paragraph must be included in its entirety in any re-posting to avoid copyright infringement. This is a nerve-racking time for holders of gold and the shares, but it’s an exciting time. People may be frowning right now, but I can tell you a year from now they will have smiles cheek to cheek. Automatic Delivery Available! If you enjoy this site and would like every article sent automatically to you then go HERE and sign up to receive Your Daily Intelligence Report. We provide an easy “unsubscribe” feature should you decide to opt out at any time. Spread the word. munKNEE should be in everybody’s inbox and MONEY in everybody’s wallet! 1. Stephen Leeb: Precious Metals Investors Need to Hang in There!! If investors step back and look at this from a longer-term perspective, they will realize that politicians feel the only way out of this mess is to print more money. After the money printing will come the inflation. It will be higher inflation than anything we’ve seen in the post-World War II period and it will send gold, silver and all commodities skyrocketing. The Western world is going to need even more easing, more money. All of this is incredibly bullish for gold longer-term. I do think you have to navigate the end of the euro before the next massive move in gold, but that’s coming. It’s possible that gold may get hit initially as the euro fails, but you have to buy it if it does. 3. Leeb: Gold Going to $3,000 Before the End of 2012! 4. Stephen Leeb: Silver’s Going to $60, $70, by the End of 2012 – Easy! I think scarcity in oil is a dramatic tailwind for gold. Politicians will inflate. They don’t want oil to bring down the economy like it did in 2008. Remember, this inflation will take place with commodity prices already high. So this will create significant inflation. This means higher gold and silver. Gold at $3,000 by the end of the year, easy. Silver $60, $70, easy. Gold stocks are now trading as though peace, prosperity, balanced budgets, and the repudiation of fiat currencies were about to break out across the globe, sending the metal back to $1,000 per ounce in the very near future. Given the stagflation conditions in the developed world, however, and governments’ proclivity to use money printing in order to jump-start an economy, it may be wise to take advantage of the current discount being offered on mining shares. 7. John Embry: ‘Plunge Protection Team’ Hard at Work While Investors Puke Up Mining Stocks! Most novice investors don’t understand the fundamentals and so they are puking up the mining stocks because they just want out but…this is when you want to buy, when sentiment is negative and fundamentals are astoundingly positive. 8. Precious Metals: Don’t Want To Play Anymore? Before we end the year we will hit new highs in both [gold and silver]. Then the mining stocks [will] react. 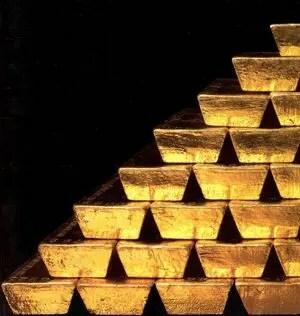 The big problem has been [to date has been that] there is not this momentum in the prices of bullion, which is keeping people away from the gold stocks. If we can get the price of gold and silver going back up, I’m sure people will come back into the mining stocks. 11. John Embry: PM Stocks One of the Greatest Buying Opportunities of ALL Time! If we’re not at a bottom [in gold and silver and precious metals stocks], we’re very close to it. The sentiment is dismal and you can see that particularly in the stocks which are almost tragic. I’m shocked quite frankly at the valuations and how low they are. In the fullness of time, this will be seen as one of the great buying opportunities of all-time. We’re making history here. Gold stocks have never been this undervalued before. We’ve had a 12 year bull market in gold, but we’ve also had a 15 year bear market in the mining shares…It’s very rare in market history to see an outlier like this. This is an extraordinary event. Years from now we are going to look back and shake our heads in disbelief at how undervalued gold stocks were in 2012. 14. Is it Time to Load Up on Gold Stocks?